Not only does this bean carry and appropriate name, as it looks like sea coral, but its flavor is very salty. Can be eaten raw, stir-fried, boiled or steamed. Makes a most attractive bed for fish and seafood presentations. The pack is 5 lb. of usable products which come with 2 bags of 2.5 each. Almost 12 to 16 plants per box. 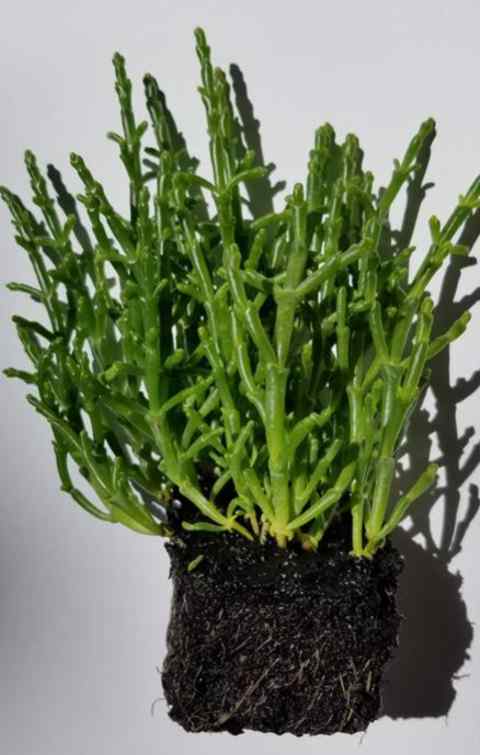 Believe it or not, our Salicornia has a long shelf life of at least 18 days!